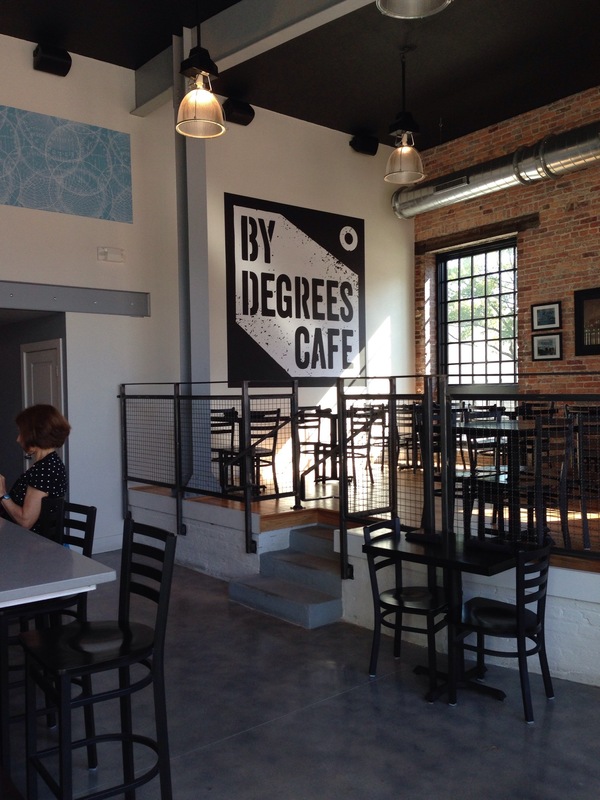 By Degree’s Cafe – eating my way through Charm City! We walked in for lunch. This place was bustling. The vibe is charming while being slightly industrial with the tall ceilings, open layout, gray colors, and iron decor. We were there so long, chatting, the place cleared out. We snagged two seats at the bar, which brings me to Omar Semidey–chef, owner, operator, visionary–a welcoming, dapper gentleman. He was super friendly and happily took his time to walk is through the menu and his vision of moving “the culinary landscape just a few degrees at a time”. I loved his openness; the lunchtime chat definitely enhanced the meal. I very rarely pass up a Brussels sprouts dish on the menu – and this is no exception. When I ordered it, he says, “you guys know they are raw, right?” I laughed, but he apparently has to ask because it gets sent back all the time. I certainly wouldn’t want to have fingers near the mandolin if the Brussels were roasted; I don’t even know how that would work. The raw shaved sprouts are crunchy and tossed in a creamy citrusy dressing with crisp, tart green apples, chopped almonds and sweet golden raisins. Next, came this outrageously huge pork sandwich for less than $10. The pork – slow roasted does not begin to describe it. This speaks directly to their approachable, yet clearly refined and thoughtful food. They flavor the shoulder meet with their special dry rub for two days. Then, it is roasted for another 8 or so hours. My sammie comes with pickled red onions, some fresh sharp frisée, and thick slices of pork that has taken almost three days to craft. Chef then slathers my fresh toasted baguette with a spicy aioli and garnishes with cilantro. 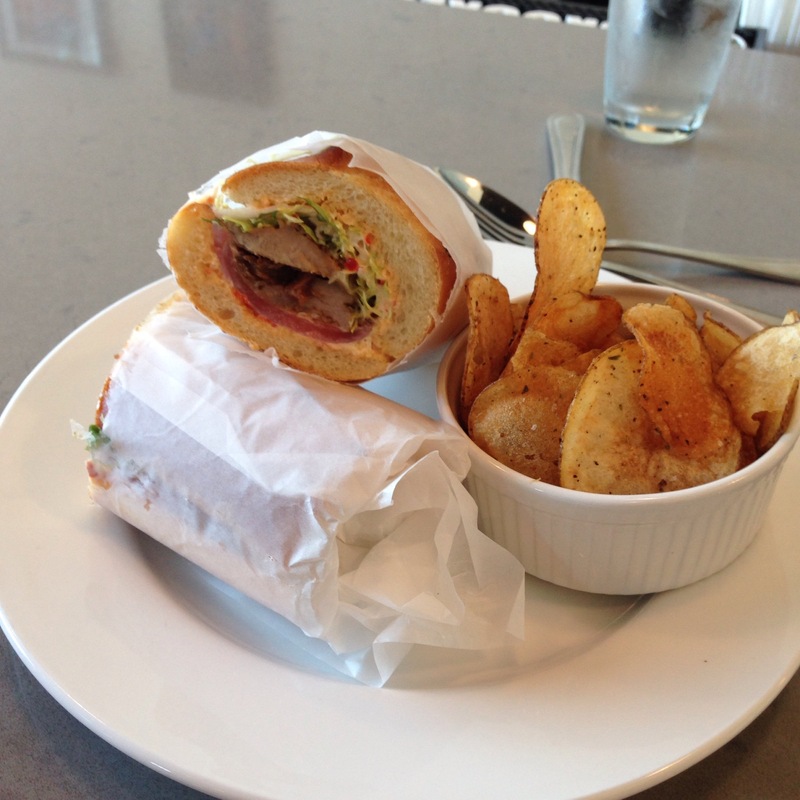 Oh – one more thing – those are house made chips with salt, pepper, and oregano. I must agree with all my friends who have told me they are doing a phenomenal job with traditional food in an upscale and approachable way. Go here. I’m not kidding. Go here, now. 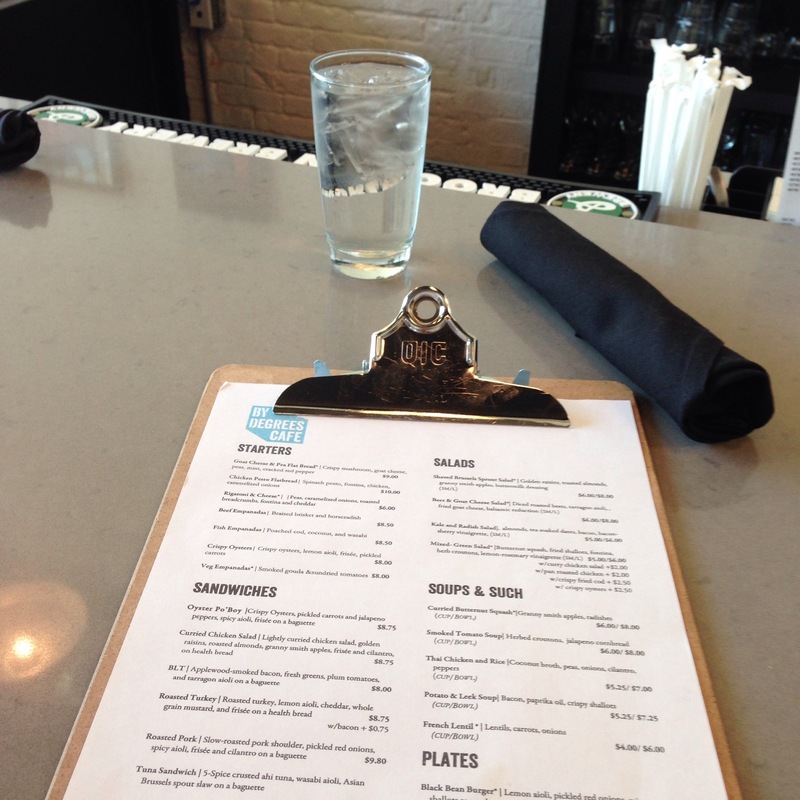 This entry was posted in Charm City, Fells Point, Harbor East, Hooray!!! Winner!, Little Italy, Lunch. Bookmark the permalink. My flatbread lunch was so delicious I went back the next day to celebrate finishing my first marathon! Friendly, attentive service and exceptional food!